A nationwide manhunt is underway in the US for an “armed and highly dangerous” suspect who robbed 16 high-end guns and may be plotting an act of mass violence targeting government officials. 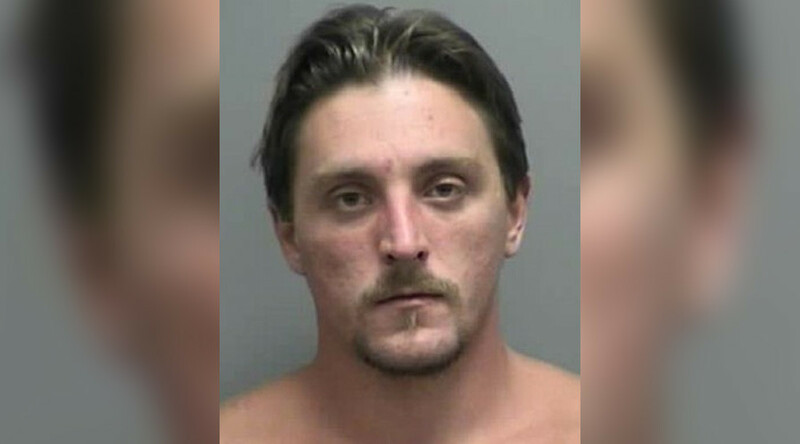 The suspect, Joseph Jakubowski from Janesville, Wisconsin, allegedly broke into the Armageddon Supplies gun shop on Tuesday and made off with at least 16 firearms including “high-end handguns and rifles” according to police. He fled the scene, set fire to his car and has not been seen since. “Deputies responded to an audible alarm at Armageddon Gun Shop and found evidence of a break in and burglary. Video surveillance showed a white male suspect smashed the front door glass,” Rock County Sheriff, Robert D. Spoden said in a statement. Speaking at a press conference on Friday, Spoden shed some light on the suspect’s modus operandi. "Basically, he's angry at all government officials, whether it's the president or local officials or whether it's law enforcement. He basically has a dislike for anyone that has authority or governmental power. We consider him to be armed and highly dangerous." Police also released a video which allegedly shows Jakubowski mailing a 161-page manifesto to President Donald Trump on Tuesday, just a few hours before the gun store burglary. The letter seems to be addressed to the president and Jakubowski can be heard saying “Ya’ll have no idea what’s about to happen,” just before he sticks stamps to his letter. Another man, filming Jakubowski says “You’ll never forget this face, ever,” as they both exit the post office. Just before the man deposits the letter in a nearby post box he turns to the camera says “Game Time,” and then smiles. "When you look at his document that he wrote, it's really a long list of injustices he believes the government and society and the upper class have put forward onto the rest of the citizens, so there's really nothing specific where he's saying, 'I was wronged in this way' or 'I was wronged in that way,'" Spoden said. "It's just an overview that he feels that government and law enforcement, in particular, are acting as terrorists and enslaving the people and creating this environment that he finds unacceptable," the Sheriff added. A multi-agency operation involving Wisconsin police, the FBI, the Bureau of Alcohol, Tobacco, Firearms and Explosives, and the Secret Service is currently underway to apprehend Jakubowski. Since the incident began, investigators have responded to well over two hundred leads and still are working on approximately seventy of them. A $10,000 reward has been offered by the FBI for information leading to the suspect’s capture.